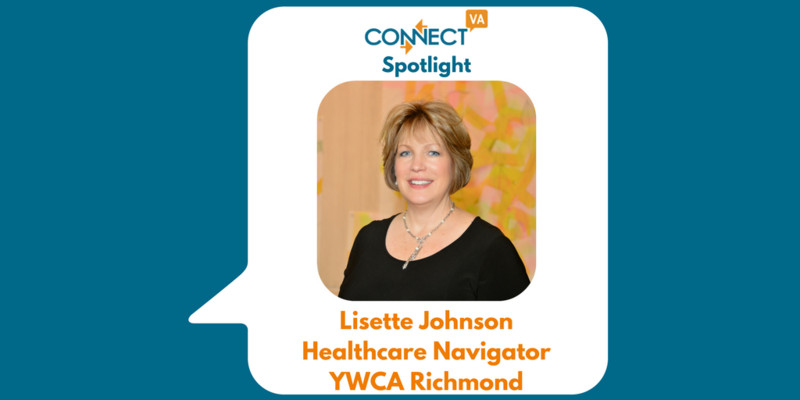 I am Lisette Johnson, YWCA Richmond’s Healthcare Navigator, supporting survivors of domestic violence requiring assistance with a range of healthcare needs. Prior to my role at YWCA Richmond, I served as a volunteer hospital advocate for survivors in the emergency room through the community collaborative Regional Hospital Accompaniment Response Team (R-HART). I most recently served at VCU Health as an advocate for patients experiencing intimate partner violence and assisted in health care provider domestic violence screening training. I was also the Trauma Survivors Network patient liaison. I am a survivor of an attempted partner homicide/suicide and have served on various metro Richmond domestic violence task forces. I am an active voice for legislation to reduce violent injuries and homicide, and have testified for passage of landmark laws before the Virginia General Assembly and United States House of Representatives. 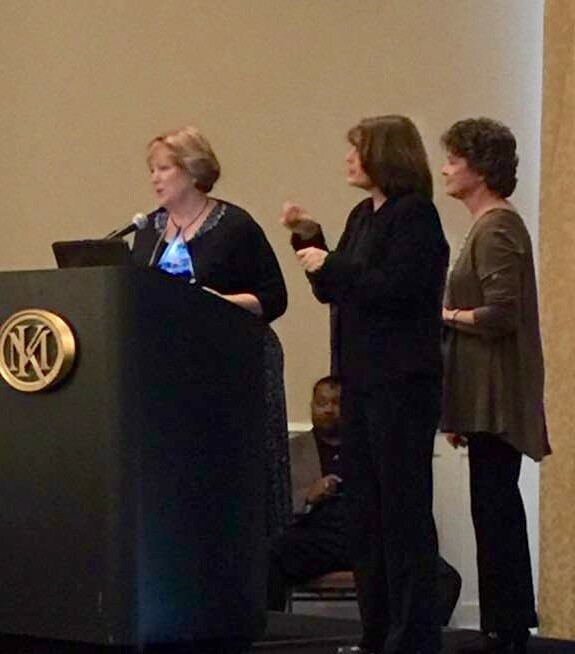 Last week Lisette Johnson was awarded the Public Citizen of the Year by the National Association of Social Workers. We know that survivors of intimate partner violence access the healthcare system more frequently than others. We also know that the long-term effects of trauma include chronic health issues. YWCA Richmond is committed to providing a holistic approach to crisis intervention by adding the healthcare navigator to connect clients with available resources to address their health conditions as well as helping them access health insurance coverage. ABOVE: YWCA Richmond is dedicated to eliminating racism, empowering women, and promoting peace, justice, freedom and dignity for all. YWCA Richmond strengthens our community by creating and advancing opportunities to empower individuals, children, and families to live their best lives. It is wonderful helping survivors understand the role of physical health in their overall well being and seeing them utilizing the connections made on their behalf to take charge of their health and dental needs. Many of our clients are overwhelmed by navigating systems and simply do not have room in their already stressful lives for one more responsibility, and I’m glad to ease that burden and make the healthcare process a bit easier. I enjoy being able to connect survivors with primary care doctors who can manage their health conditions and being proactive about prevention. Providing referrals to specialists removes that added layer of vulnerability and dependence and strengthens the long-term outcomes for the survivors I work with. Everyone deserves to the opportunity to be healthy and live their best life. YWCA Richmond counselors and case managers provide free, trauma-informed care to empower survivors. While The Affordable Care Act is still in place today, rules have changed this year for the domestic violence hardship exemption. There also remains a gap between Medicaid and ACA and many single, low-income earners are not qualifying for insurance outside the ACA open enrollment period. Fortunately, Richmond has several clinics offering income-based, sliding scale payment plans, even on copays. We have made tremendous progress establishing relationships to facilitate easier and trauma informed access for YWCA Richmond’s referred clients. ABOVE: A PSA About Intimate Partner Violence by the YWCA. What are some misconceptions about the YWCA? Our services extend far beyond a “shelter,” too. Through partnerships with other agencies and hospitals, we can provide emergency housing in private apartments and furnished hotel stays, 24/7 advocacy for adult survivors in emergency rooms, and ongoing services like counseling, case management, employment navigation, healthcare navigation and more. Our clients are given the choice of what combinations of services they wish to enroll in, as we understand that in abusive relationships, the survivor is stripped of their power and control. 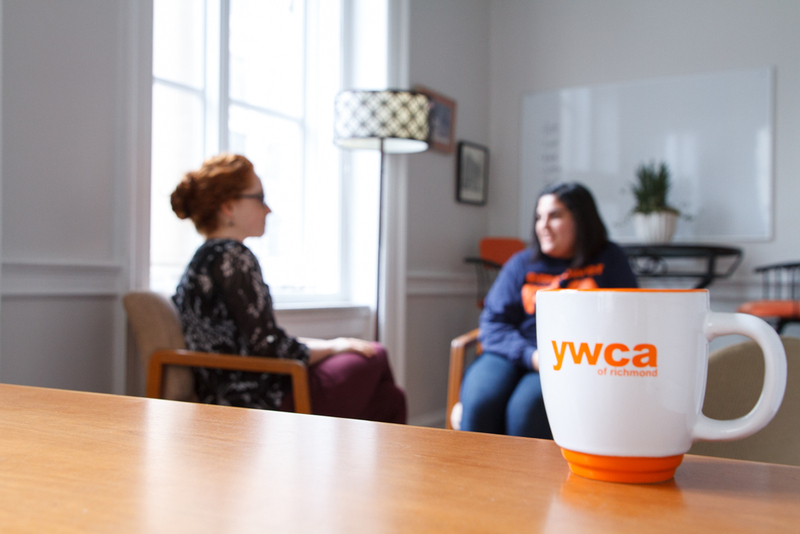 As a trauma-informed agency, YWCA Richmond is committed to empowering survivors to make decisions about what care best suits their needs following their individual experience with abuse. YWCA Richmond advocates for legislation that support survivors of domestic and sexual violence. 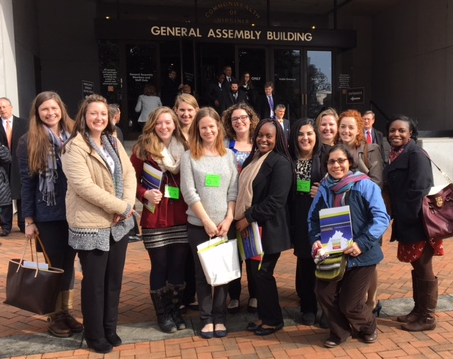 Here are YWCA Richmond team members are General Assembly for legislative advocacy day. We see a sizable number of pregnant women seeking services, many of which are unplanned. YWCA Richmond is currently exploring an educational program around reproductive and sexual coercion as a component of intimate partner violence. We are also exploring further strengthening our partnership with Greater Richmond SCAN and developing collaborations with Family Lifeline and Urban Baby Beginnings. We have been met with open arms at The Daily Planet and they have been great to provide ease of access for our clients. The Greater Richmond Regional Hotline is a free, 24/7, confidential resource for survivors and their advocates. If you or someone you care about are experiencing domestic, sexual or intimate partner violence, 804-612-6126 is the first point of entry for services in the Richmond region, including YWCA Richmond’s healthcare navigations. 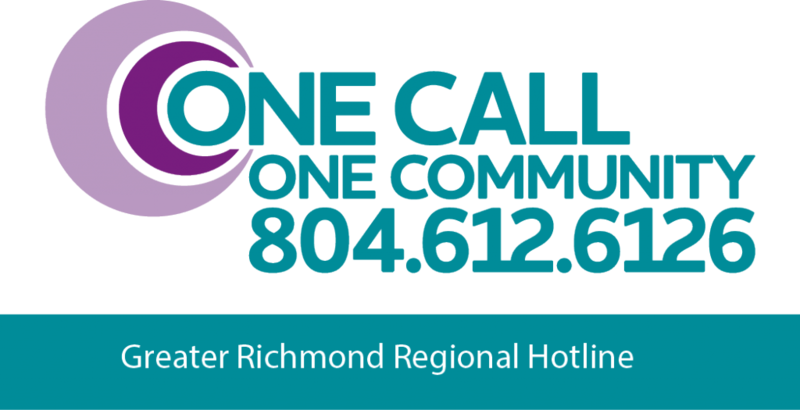 The Greater Richmond Regional Hotline operates as a collaborative service by six local agencies: The James House, Project Hope, Safe Harbor, Hanover Safe Place, Goochland Free Clinic and Family Services, and YWCA of Richmond. The Community Foundation has been a fantastic resource in supporting our programs, like our early childhood education initiative and women’s empowerment program, and has connected us with amazing philanthropists in the Richmond area who have a fervent passion for the work we do. Our GiveRichmond portrait has given us the opportunity to share our work in a comprehensive package with funders and community members who want to learn more about all our services, leadership and the direction our agency is headed. ConnectVA has helped us find talented, passionate team members to join us on our mission to eliminate racism and empower individuals in the Richmond region. YWCA Richmond always encourages community participation in our mission to empower RVA! If you would like to get involved with our work to support survivors, strengthen families and educate young children, prevent violence and empower women, we have several events coming up, as well as opportunities to support our work as a volunteer or donor. All this information is available on our website at www.ywcarichmond.org. If you’d like to stay connected to learn about our current initiatives, you can connect with us on Facebook, Twitter and Instagram @ywcarva.